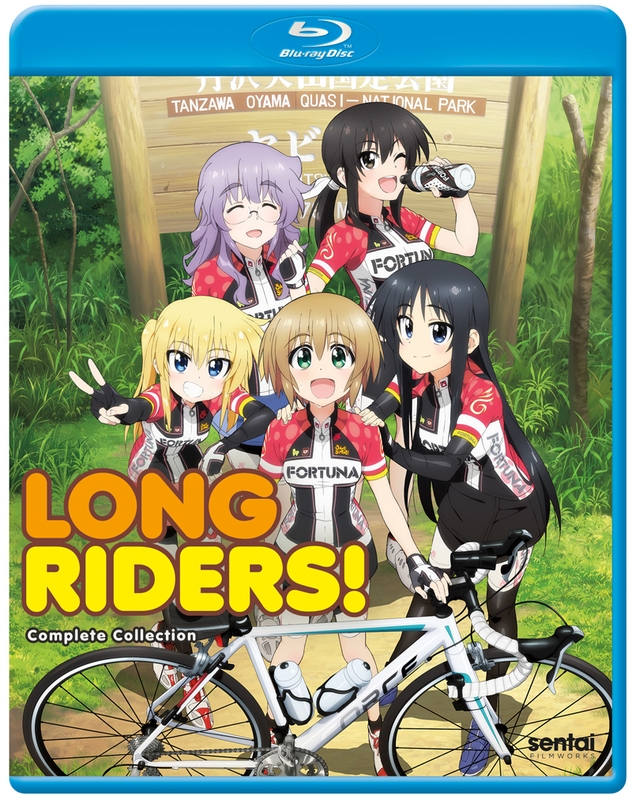 Long Riders the complete collection contains episodes 1-12 of the anime directed by Tatsuya Yoshihara. Ami's always been small, a little clumsy and unsure of herself, unlike her more athletic friend Aoi. But when she sees someone using a folding bicycle on the way home from University, she realizes that the compact bike might be a perfect fit for her. Plus it's really, really cute. Before you know it, Ami's bought her own bicycle and she and Aoi are going on biking trips together! Suddenly Ami's world is so much bigger as she and Aoi meet a whole new group of friends who share their love of this sport, and the thrill of competing in long distance cycling events. Join in the fun and share in the adventure as a group of young women discover the joy of hitting the streets and touring Japan under their own power!